Hello, I'm Anna from Bissful Whimsy. 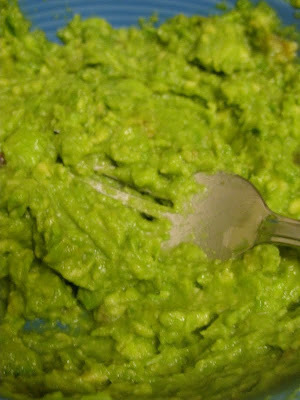 And, I absolutely love guacamole. It's such a great summer food. No baking or cooking required and it's really a yummy appetizer with chips or on top of a salad (like Mexican chicken salad!). I've never actually made it though. My mom and brother are the guacamole pros in our family so I've always sat back and let them whip up the tasty green concoction. 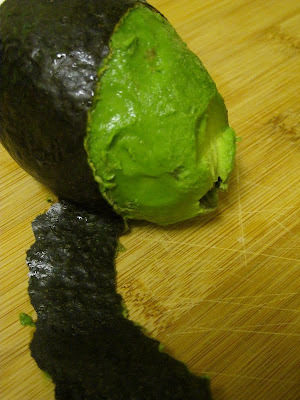 Start with fresh avocados. They're just right if they have a little give to them when pressed with your finger. If they're hard then they just don't work. Next peel the skin off these little babies. If they're ripe you can do it so easily with your hands. Oh, and it's a good idea to remove the giant seed from the middle. These are the seeds right? Then put it all in a bowl and mash it up. 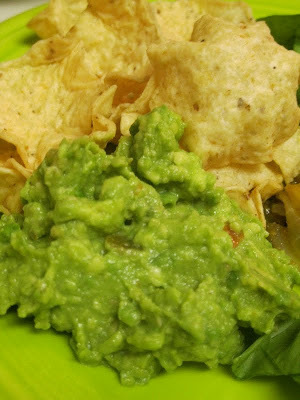 While you're mashing away add a sprinkle of sea salt, about a tablespoon of salsa, and a splash of lime juice. I succeed in my experiment and have indeed reaped the rewards. yum yum! 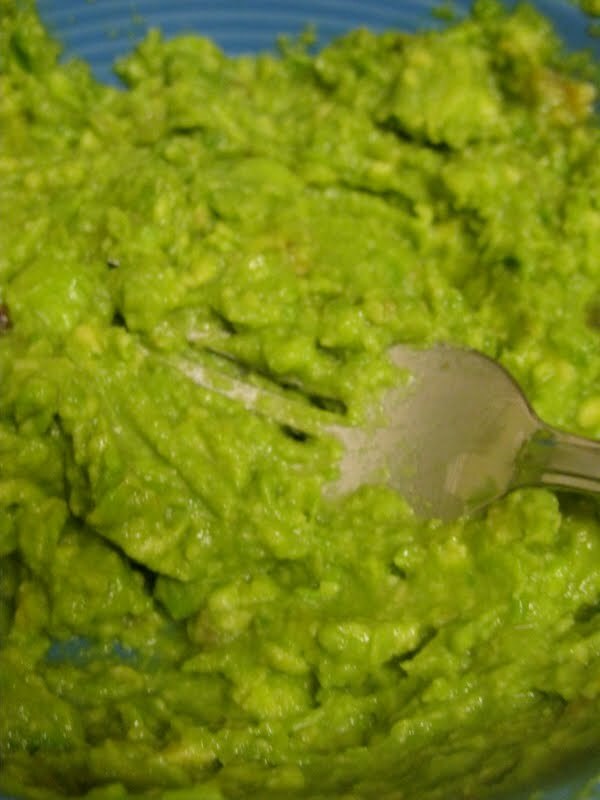 I love guacamole . but unfortunately no one will eat it with me! - it's soooo good with the right kinds of chips too or on sandwiches!